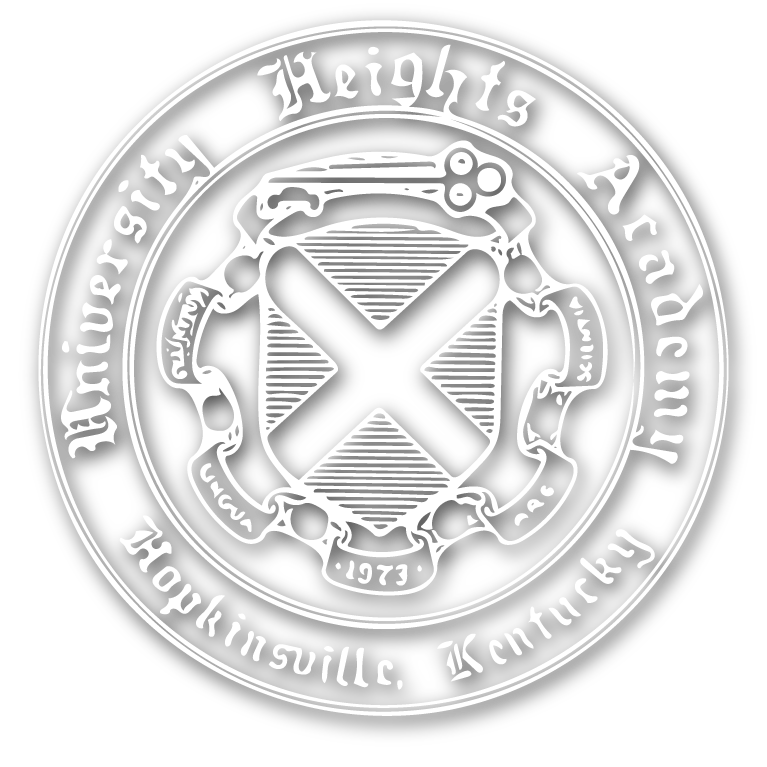 University Heights Academy would like to take this opportunity to welcome all of our new and returning families for another great year! The following is a brief guide/overview, organized by seasons, of major social, academic, sports and other school related activities and events here at UHA. All of these activities/events are run by parents and administrative volunteers through UHA’s Parent/Teacher Organization (PTO), the Boosters or through Board of Trustee lead Committees. If you have any questions regarding any of the following activities/events, please feel free to contact your teacher, your room parent, or any UHA Board member. UHA encourages all of our parents to actively participate in as many of these activities and events as possible. It is a great way to get to know our school better and support it in a way that benefits the most important part of UHA – OUR STUDENTS! LOWER SCHOOL OPEN HOUSE – Usually held a couple of days before school begins. Families have the opportunity to meet their child’s teacher(s) and get acquainted with other classmate families and the room parent. It’s also an excellent time to learn about your child’s classroom and collect new names and phone numbers. Teachers hand out important classroom information at this time, including, but not limited to, homework expectations, general behavior guidelines and contact information for themselves and UHA. Teachers or a Room parent may discuss the Classroom Fund that night. The Classroom Fund is a specific school controlled account to which money is deposited through donation or various fund raisers throughout the year. The Classroom Fund helps to pay for field trips, your child’s class parties, and any special equipment that the teacher and parents agree upon. MIDDLE SCHOOL/UPPER SCHOOL NEW STUDENT ORIENTATION – Held the same night as the Lower School Open House. It is an important introduction to UHA’s middle/upper school teachers and staff. An overview of middle school academic and behavior expectations are discussed at this meeting. ALUMNI SOCCER GAME – This event is held before school begins, usually on the first Saturday of August. Blazer and Alumni Lady Blazer Alumni “battle” it out with lots of fun and laughter. OUTDOOR SCHOOL FOR UPPER SCHOOL– This is a unique opportunity for our Upper School students to explore in a safe, secure environment of a teacher(s) led trip while exercising their independence and good judgment. Parents are not allowed to accompany the students unless a medical condition of a student warrants it. Outdoor school visits have included New Orleans, Charleston, Virginia Beach, Canada, etc. The “school” commences on Monday evening of the week immediately preceding Labor Day weekend and lasts four (4) full days. The chartered buses typically return to the school the early evening of the Friday of Labor Day weekend. BACK TO SCHOOL PICNIC – This event is coordinated by Soccer families and is open to all families. It’s a great way to get to know many other families at UHA. Meals are pre-ordered and served from the Soccer concession building. Varsity girls and boys soccer games are held on this day. 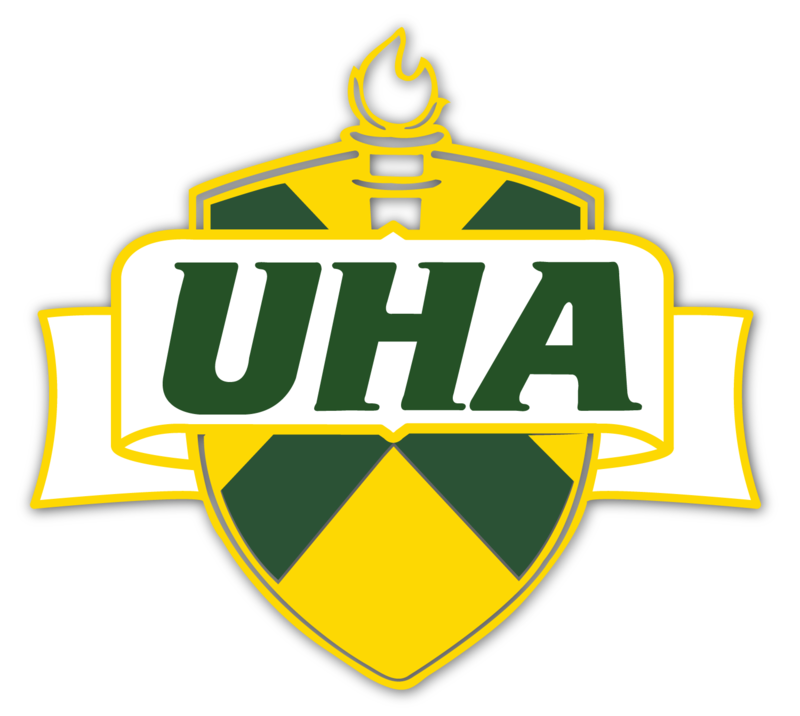 FALL SPORTS – Fall sports at UHA include boys and girls soccer, volleyball and golf. FALL FLING – The PTO organizes this large and important event for UHA. This year Fall Fling is scheduled for the last Saturday of September and includes lots of games, activities for all ages. (Some years this event is held during the last weekend of September; other years it is held during the first weekend of October, depending on soccer schedules. This event is referred to as Oktoberfest when held on the traditional date) Food booths are set up and include the “Gingham Gourmet”, which sells a variety of donated frozen casseroles, home-made breads and desserts as well as offerings from the concessions stand, which sells, hotdogs, hamburgers, popcorn, nachos, brats and related items. There is a raffle for a $500 Wal-Mart gift card. Tickets are $1 each and every child in the school is requested to sell at least 15 tickets. Each classroom/room parent is responsible for a gift basket that will be auctioned off at the event.. Baskets are themed and have included in the past, “Family Night Out”, “Bath and Body”, “Outdoor Fun” just to name a few. Proceeds raised from the Fall Fling/Oktoberfest go to the general fund of the school. Many Parents and students are needed to prepare for and operate this fun day, and room mother’s play a critical role. 100 CLUB – This lovely evening social gathering at the home of a volunteer host. Tickets are $100 per couple. 100 Club is held in conjunction with Fall Fling and is a relaxing way to get to know other parents, administrative staff and teachers outside the school setting. All parents are strongly encouraged to support the 100 Club. GREST AMERICAN FUNDRAISER – Great American offers quality gift wrap and other related materials for sale. The quality of their products is superior. Students receive their packet in the early fall to give them ample time to ask friends, families and business associates to get ready for the holiday season by ordering Great American products. All proceeds to go to UHA’s operating budget. “MUFFINS WITH MOM” AND “DONUTS WITH DAD” – These events, held on separate days, are also hosted by the PTO. Lower school children invite their mom or dad to an early morning breakfast. WINTER SPORTS – Winter sports include Boys and Girls Basketball, Varsity and Middle School Cheerleading and Wrestling. BLAZER NIGHT OUT – The evening is kicked off by a pre-ordered meal that is served in the multi-purpose room. UHA hosts its Open House for current families that night. It is a great way for parents to meet their child’s teacher again and get an idea of how things are going. Teachers and students show off all their hard school work by decorating the hallways with artwork, science experiments and class projects. All are invited to the Gym to be introduced to our athletes involved in winter sports at UHA. Under the leadership of our head basketball coach, our various coaches organize this event. Participants in Basketball, Wrestling and our Varsity Cheerleaders are introduced. Lower school student volunteers along with a fifth grade feet stomping musical display perform to get the crowd going. This night often serves as the official kick off for UHA’s Annual Fund Capital Campaign. Usually the varsity cheerleaders assist in selling raffle tickets for a “Split the Pot” prize. The winner of the night’s raffle will “Split” the money in the “Pot” with the School. The Annual Fund is an important fundraiser for the school. The Fund helps bridge the gap between tuition and operating costs the School incurs through the year. The evening ends with our athletes showing off their skills. DREAMSTAKES – This event is held at the James E. Bruce Convention Center. Tickets are historically sold for $175.00, $125.00 of which represents a tax-deductible donation. For this price, a couple is provided with a nice dinner and an entertaining “reverse drawing,” with the last ticket in the barrel winning $10,000. SPRING FLING – Spring Fling is the single largest fundraiser that UHA holds each year and has activities for all ages. There is a dinner and auction for the adults in the gymnasium. There are nicely decorated tables for the event, and a menu that includes a vegetarian entrée for those who so desire one. Both Live and Silent Auctions are held, and a Bakery/Boutique area is also available. The items in the auctions range from gift certificates for local goods and services to jewelry and – sometimes – trips. Giftware and outdoor items are also in abundance! The Bakery has baked goods and frozen entrees available for purchase, while the Boutique has many varied items. While this is going on for the adults, there is a Middle School dance going on in, probably in the Library. The Lower School meets in the multi-purpose room to participate in a fun activity designed especially for them. Childcare for preschoolers is also available in the preschool area. Spring Fling is a GREAT EVENT and a wonderful way to showcase our school to prospective parents, children, grandparents and other members of our community. There is truly something for everyone, and you have to experience Spring Fling to understand how fun and magical it is! OPEN HOUSE FOR PROSPECTIVE FAMILIES – This is the time that many families in our community begin thinking about school options for their child. UHA offers this open house for them to come visit our campus and explore our classrooms and teachers. Our students use this opportunity to show off their work and let others know what we already know – UHA is our School of Choice! UHA. Teachers and parent chaperones accompany 6th, 7th and 8th graders to Chicago, Atlanta, and St. Louis, all in rotating order. SPRING SPORTS – Spring sports at UHA include tennis, softball and baseball. At the end of the year, most sports organize their own end-of-the-year Banquet, with parents volunteering to host and helping provide recognition to our student athletes. CAMP UHA – This “Camp” is run in the lower school by the teachers the last week of school. Each class picks different themes, e.g. “bugs” and participates in activities to learn more about their particular theme. Many groups have fundraisers throughout the year. A fundraiser request form is completed and submitted to the front office for approval prior to launching a fundraiser so that groups do not overlap. The PTO organizes various events mentioned above and serves as a way for families to get in touch with each other and raise money for the school as a whole. Memberships are available for a $5 nominal fee. BOOSTERS – The Booster organization is an umbrella group for all sports at UHA. Memberships are available for all families. The memberships allow free entrance to all regular season school sporting events, excluding any tournaments. The Boosters also publish an athletic program for fall, winter and spring sports. These programs solicit ads from area businesses and parents who want to recognize their student athlete. Our graphic design artist (another great parent volunteer!) designs this program. Each sport is required to submit budgets and raise their own funds to support their program. Parent volunteers coordinate many events and fundraising events through concessions, lunch sales or other common fundraising activities. Volunteers are a huge part of our success as they are the people that help organize not only fundraisers, but work to feed the players, get team photos, take up gate money and assist coaches as needed. Money raised by the Boosters from memberships and program ads pays for required fees, publishing the program, and any other general athletic costs. For example, in 2008, dues were used to purchase a new ice machine for the concessions stand. In 2009, the Boosters purchased a heavy duty grill that had been loaned to us by a proud UHA supporter in years past. The Booster organization is headed by a president with representative liaisons from each sport. All parents are encouraged to support and attend meetings. This concludes an overview of major activities and events here at UHA. The above is by far not an all inclusive list of all the various activities our families participate in. Our families are involved in many community and school related activities. Please take the time to get involved, and volunteer often in your beginning years so that you can get to know all aspects of this school. There is no one part that overshadows another; we all work hard to make UHA the best school for our children. Thank you and again, if you have questions, please contact your teacher, room parent or any administrative personnel.